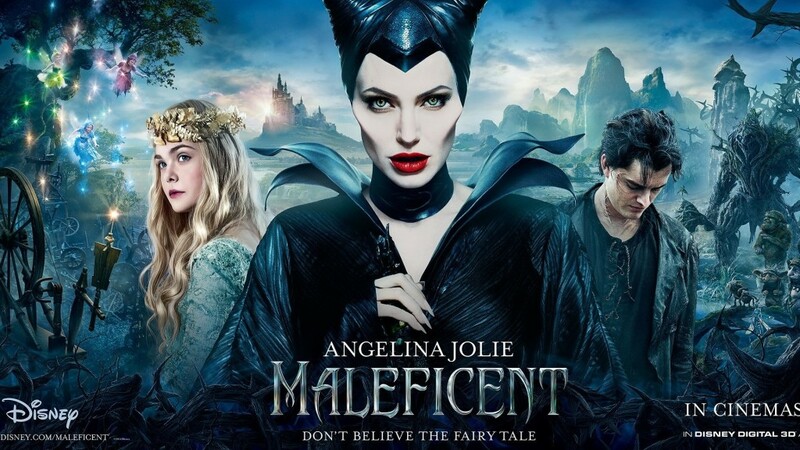 This last week, I took my nine year old daughter to see the movie Maleficent, starring Angelina Jolie. Maleficent is a reimagining of the classic Disney cartoon Sleeping Beauty. For those of you who haven’t seen Sleeping Beauty, Maleficent is the name of the evil witch who placed a curse on the newborn Princess Aurora. According to the curse, young Aurora would prick her finger on a spinning wheel before her 16th birthday, casting her into a death-like sleep. The only thing which could wake her from her slumber was “true love’s kiss.” In Sleeping Beauty, Maleficent is pure evil. She is finally defeated by Prince Phillip who slays her and awakens the sleeping princess with a kiss. The modern movie Maleficent gives us the story behind the wicked witch. It takes us on a journey, showing her fall from good fairy to wicked witch. We are allowed to see her struggle with love, hurt and hate. In the modern version, Maleficent is not pure evil. She is complicated. Christians are complicated. We like to categorize people into simple Disney categories: good guys and bad guys. Your friends and family are the good guys. Your ex-husband, your unfair boss and that child molester who just moved into town are the bad guys. People are either good or evil. Sadly, the truth is much more complicated. According to the Bible, all people are born thoroughly sinful (Psalm 51:5). We all have done evil things in our lives (Romans 3:23). We have lied and hurt and cheated. By nature, we are the bad guys. That’s why Jesus came. He is the only true hero of our story. Jesus is not complicated. He is pure love. In his love, he gave his life to save us from the fiery punishment our evil deeds deserve. He then sent his Holy Spirit into our hearts through Baptism and his Word. He gave us faith. He took us hurting and hating villains and made us children of God. Think about that. If God is the King of the universe and you are his children, what does that make you? Princes and princesses. Because of Jesus, you are the good guys. Because of Jesus, you are going to heaven. But, as I said before, Christians are complicated. Though we have faith in our hearts – though we love God and want to serve him – we are not yet perfect. We still have a part of us that is selfish and angry. We have an inner struggle between good and evil. Sometimes the evil wins out. We fall. We fail. We act like the bad guy. That doesn’t mean, however, we are pure evil. We are forgiven. We are still princes and princesses. Though we don’t use forgiveness as an excuse to keep on sinning, we also don’t pretend we are perfect. We honestly admit we are damaged and dirtied sinners. That is why we are so thankful for God’s full and free forgiveness. So what about your ex-husband? What about your unfair boss? What about that child molester? Are they pure evil? We can’t look into their hearts. They may be pure evil or they may simply be sinful believers who struggle with weakness and sin. So instead of labeling people as “good” or “bad,” remember that we are complicated creatures. Try to look at others through Jesus’ eyes. What does he see? He sees souls loved by him – sinners in desperate need of his forgiveness. Forgive as he has forgiven you. Remember, when Jesus looks at you, he doesn’t see pure evil. He knows you’re complicated. yes, at once we can realize that Maleficent was confused since she was abandoned by her lover all of sudden. bad or good is always subjective. we can see that in Sleeping Beauty, Maleficent was the villain and we all think that she was so cruel that we need to slay her, but in this movie, she is on the ‘good’ side which make the watchers cheer for her. so this movie also open our eyes and tell us that we can no longer define what is good or bad. As Christians, we believe all people are actually born sinful and selfish. That is why we need the forgiveness Jesus won for us on the cross. Through the faith God gives us, we now want to do good for the right reasons, but we still have a sinful, selfish nature which fights against that good. That is what makes us complicated – that inner struggle. Christians, in their weakness and sins, sometimes act like the bad guy. That doesn’t mean, however, they are pure evil. We are complicated, not because good and bad are subjective, but because we have an inner struggle between good and bad. Does that make sense? At least God knows I’m complicated. He gets me. I had the same conversation with my 9 year old daughter. Thanks for your comment! Maleficent and you post raise some very interesting points about human nature and our perception of it. Things are often more grey than we’re willing to admit. Thanks for your comment. You’re not the first to speak about grey areas commenting on this article. I think we need to be careful when we talk about “grey” areas. There are grey areas in morality, i.e., things which the Bible doesn’t expressly say are right or wrong. But that being said, our world treats most morality as “shades of gray” (as the book by that name reflects). The Bible clearly teaches right and wrong. Much of what our world calls shades of gray are black and white in the Bible. The point of my article is that we have to be careful not to label people as “good” or “bad.” In one sense, we are all bad because we are all sinful. Believers are complicated, though. They believe in God and want to live for him, but they are still sinners and mess up. That doesn’t make them hypocrites. It makes them complicated. Thank you for sharing your thoughts. Best wishes. Thank you for your comments. I love the quote about the weeds and the wheat. That is exactly what I was trying to say. Can you share with me where you read that?